I’ve been having a heated discussion with a friend about why I can only take Marvel movies so seriously, and why it’s objectively lower quality entertainment than Harry Potter. There are spoilers below for Harry Potter, Infinity War, Deadpool 2, and The Bible. Humans, as a rule, don’t value that which they cannot lose, and our lives are the ultimate case in point. We care about death because it’s final and that’s what makes it matter. It’s the same in any good story because good stories mimic reality. It was sad that Dumbledore died in Harry Potter not because it happened, but because it was permanent. Same with Hedwig, and Dobby (a free Elf). And Snape died to save Harry because of his love for Harry’s mother. It’s not the dying that makes death significant. It’s the utter permanence of the condition. This is also the entire foundation for caring about action and danger. Action doesn’t matter much if it doesn’t involve risk. And there is far less risk if you cannot die. That brings us to the Marvel Universe. We just watched Thanos kill half of the franchise. They all disappeared—into literal dust—killed by the most powerful weapon in the universe. Spider-Man already has his new movie announced, and do we really think they killed Thor, and Black Panther, and Captain America? Of course not. It’s super obvious that they’ll roll back time and resurrect most everyone. Loki’s been dead before, and Deadpool just killed and resurrected himself (and his wife) like it was nothing. The difference between Potter and Marvel is that Potter is a story and the MCU is a soap opera. Dumbledore is dead. Snape is dead. Dobby is dead. And these sacrifices cannot be reversed or undone. That’s what makes them meaningful. 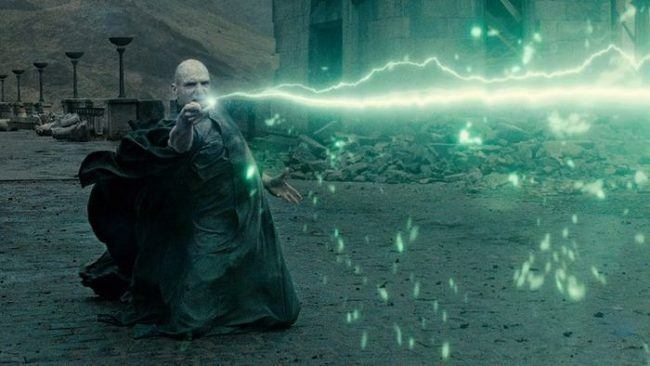 When someone gets hit with Avada Kedavra, there’s no coming back. The Marvel Universe isn’t bad because it’s fantasy, or because it’s about superheroes. It’s bad because nothing that happens in it actually matters. It’s different, by the way, if the death and rebirth is on purpose and is artfully weaved into the story, like for Neo or Potter. [ BONUS BIBLE SPOILER ] The worst example of nullifying a sacrifice is Jesus. He was alive for an eternity before he died, he’s alive now, and he will be alive for eternity in the future. He was actually only “dead” for three days, and since he is basically God he obviously knew he was coming back anyway. Worst sacrifice ever, but it’s still the foundation of the top religion on planet earth. Maybe the MCU has a chance after all.